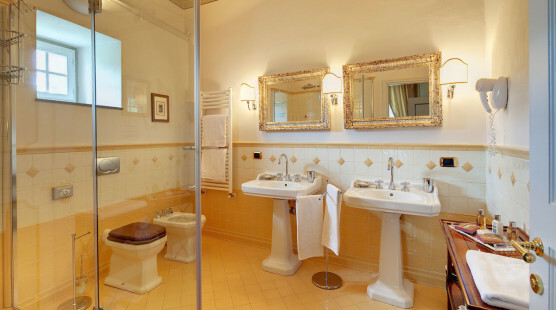 The window on the pool and the ample spaces characterize this room, which has a bathroom of 20 square meters, equipped with a Jacuzzi. 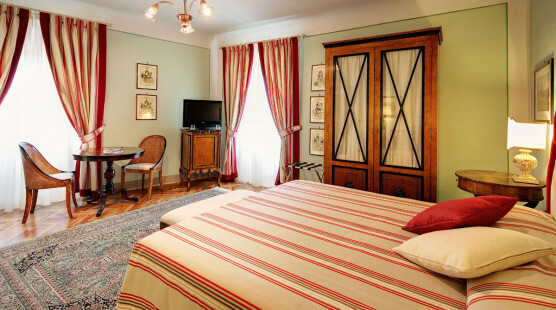 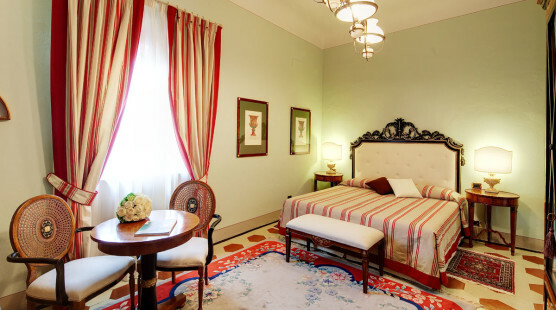 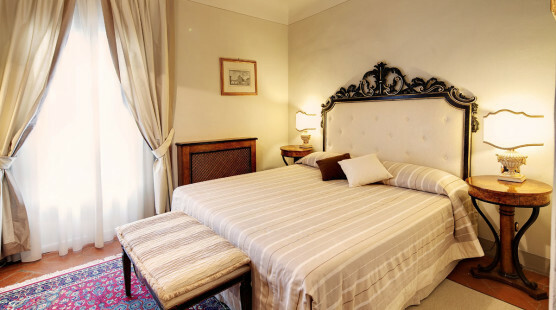 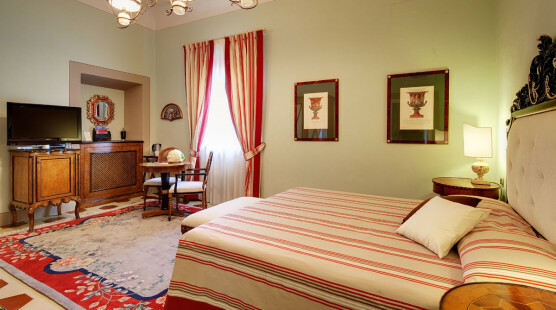 The pastel colors and the romantic atmosphere characterize this room, which offers large spaces for extremely relaxing stays. 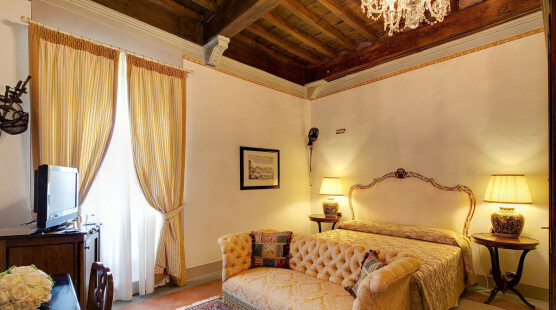 The coffered ceiling characterizes this room, which was originally the villa’s arms room, the furniture still remembers the past glories with a truly unique atmosphere. 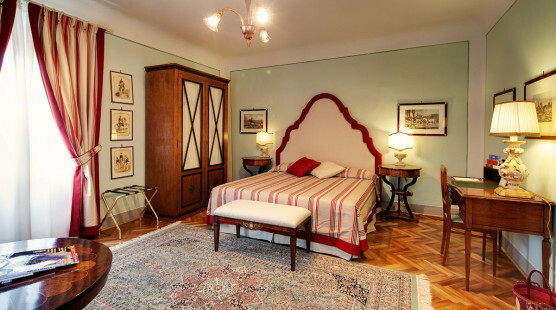 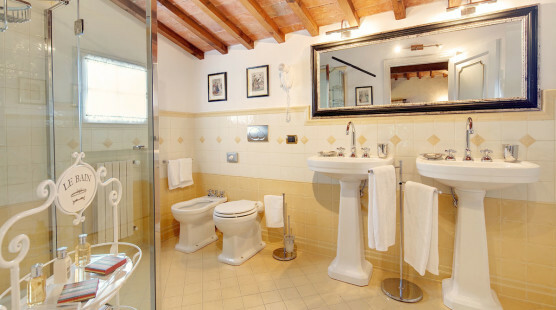 Two large rooms on two levels, well-kept in detail as in the style of the villa, make up this room, which offers a particular privacy. 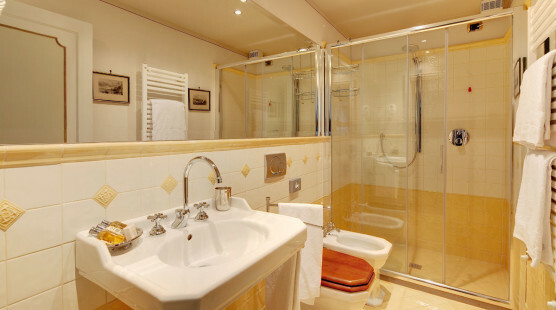 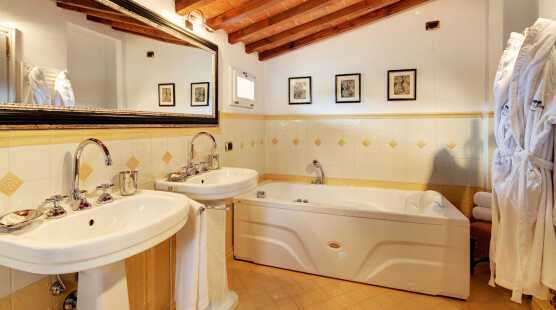 The bathroom is enriched by a splendid jacuzzi. 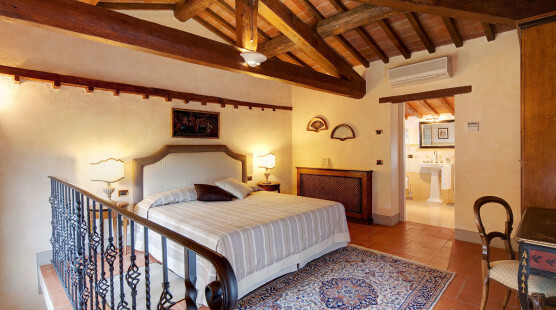 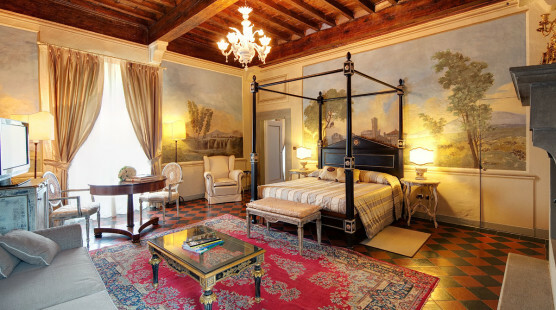 The completely frescoed room has 3 separate entrances, one of which is directly from the pool. 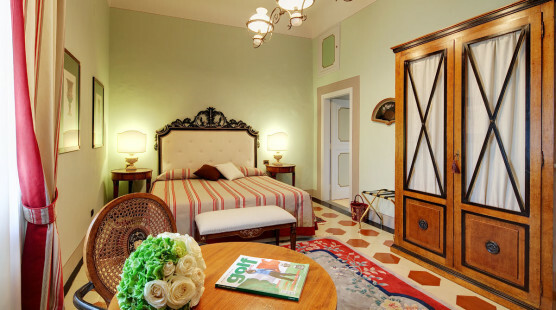 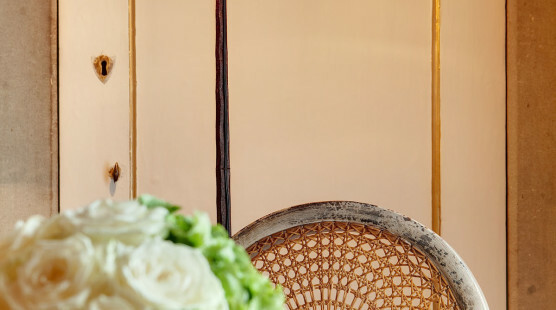 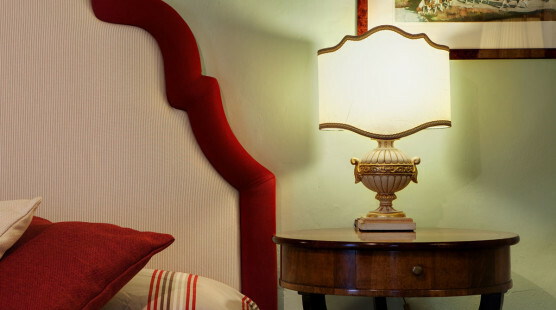 The grit floor, the coffered ceiling, the imposing eighteenth-century fireplace and the four-poster bed complete the furnishing of the room creating a magical atmosphere. 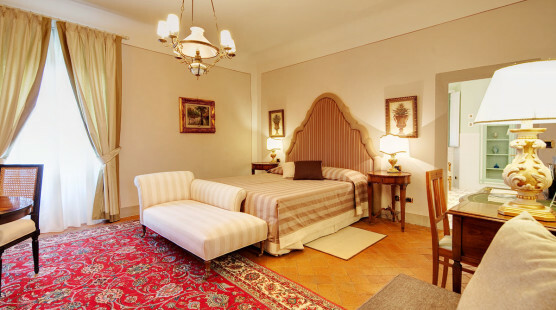 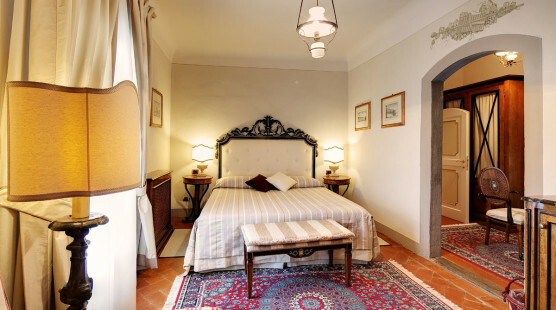 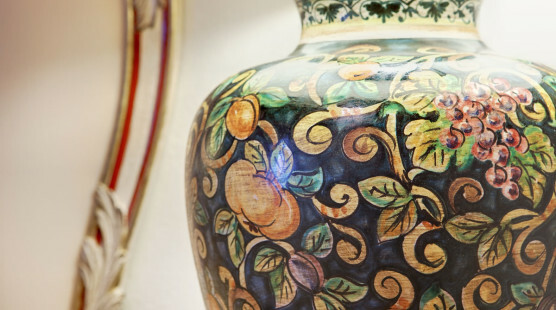 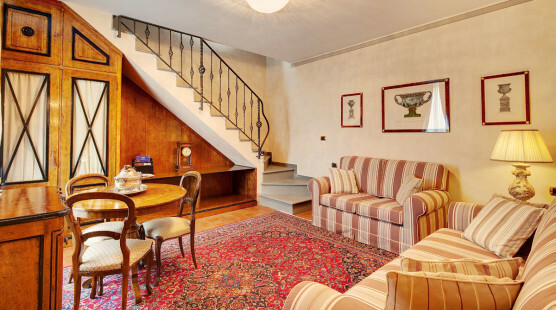 On the second floor of the villa, with 2 windows overlooking the courtyard and the driveway, the Florentine terracotta floor and the fireplace. 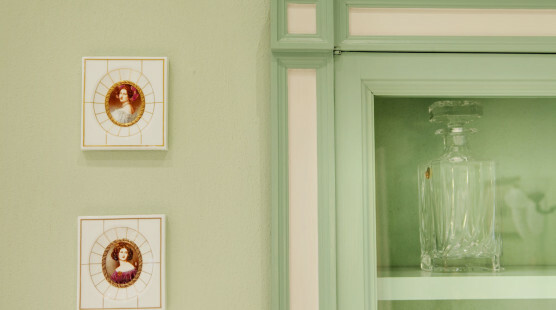 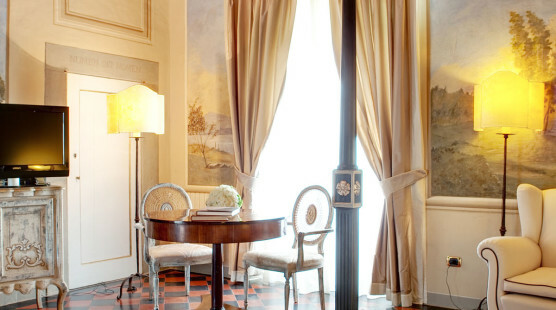 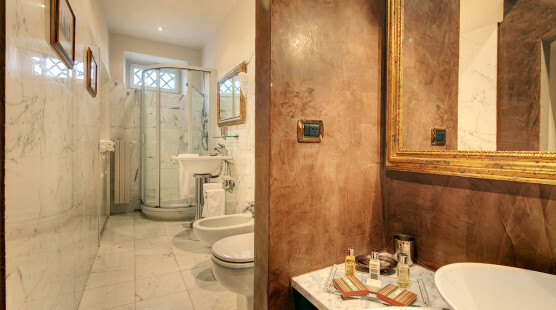 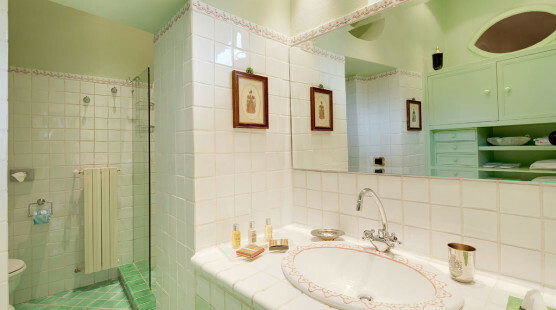 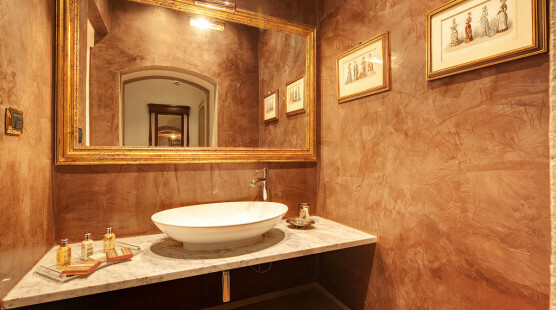 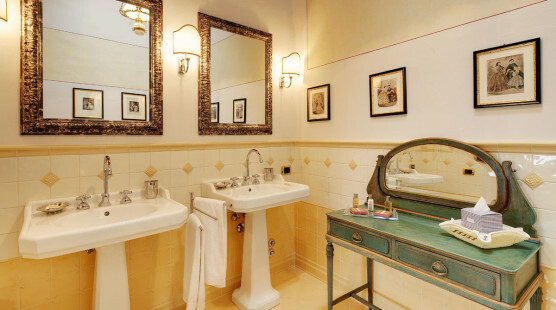 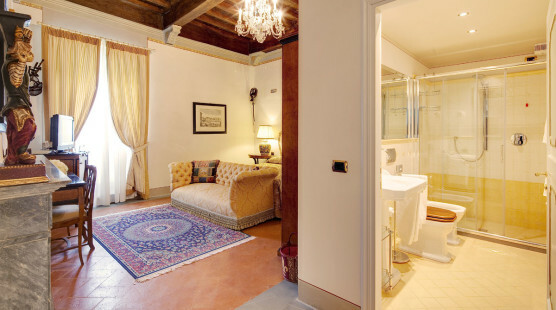 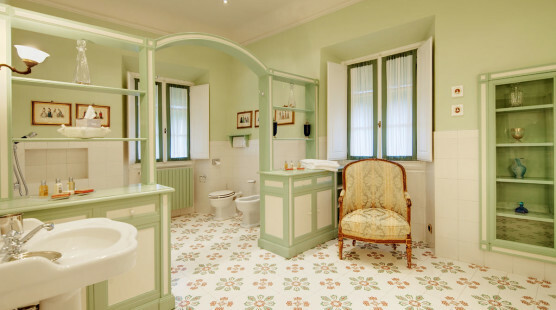 The bathroom furnished with Carrara marble elements is decorated with small frescoes.